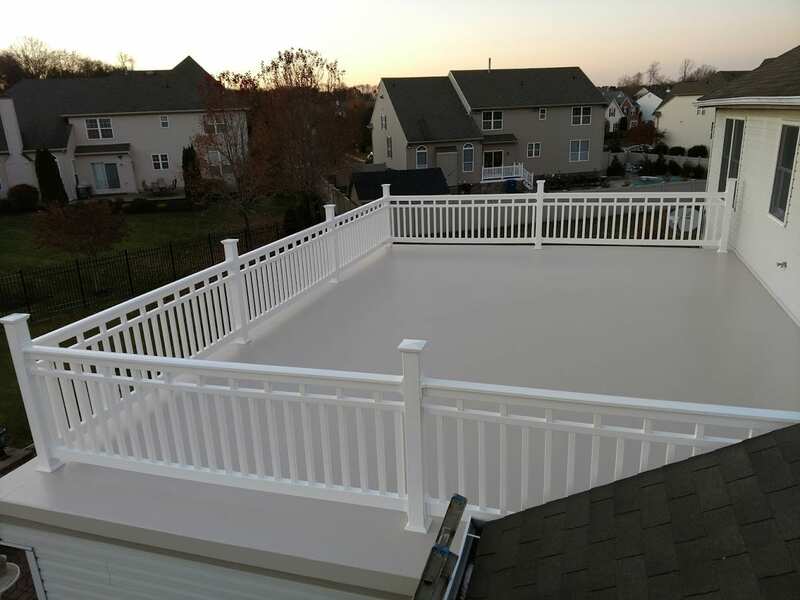 Fiberglass decking is the best option for walk-able water proof decking on your home, it is the only flat roofing material time tested to withstand the harsh summer heat and icy winters of the tristate area. 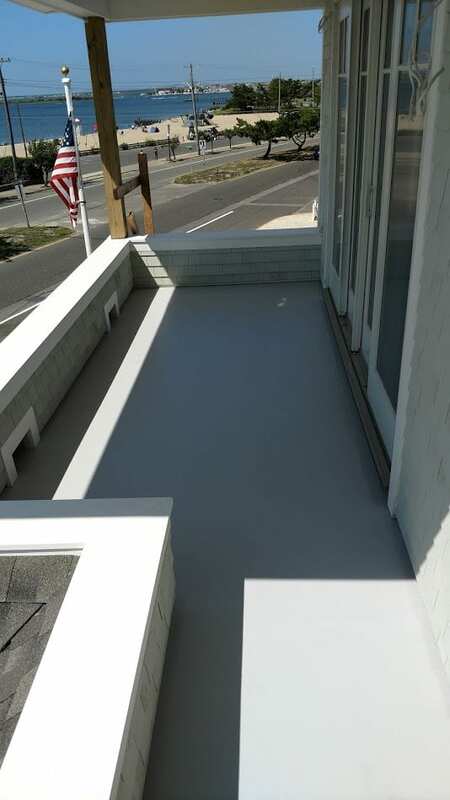 When properly maintained, the fiberglass coating is slip resistant and can last 40-50 years, keeping your home waterproof and structurally sound for the life of your home. 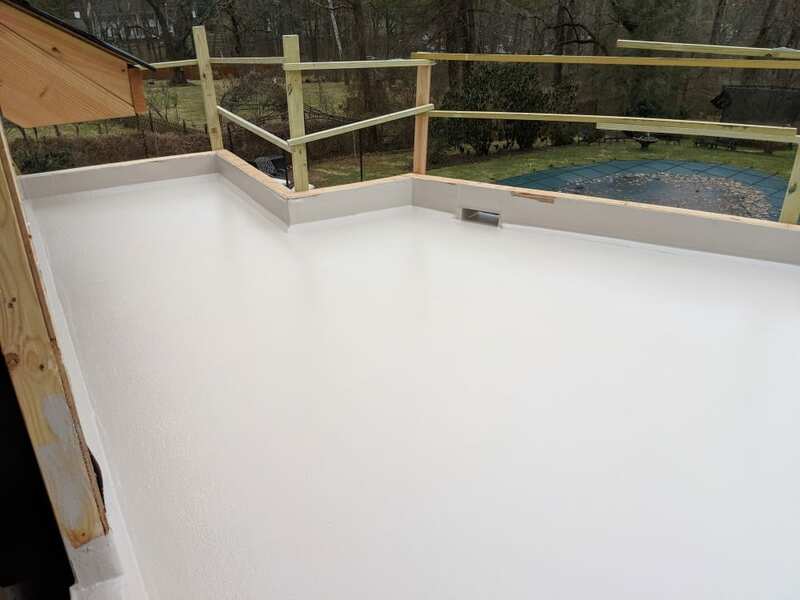 The only necessary up keep for the surface besides regular cleaning is to have a new color gel coat applied to the fiberglass every 7 to 10 years, which will also leave your decks looking new once again. 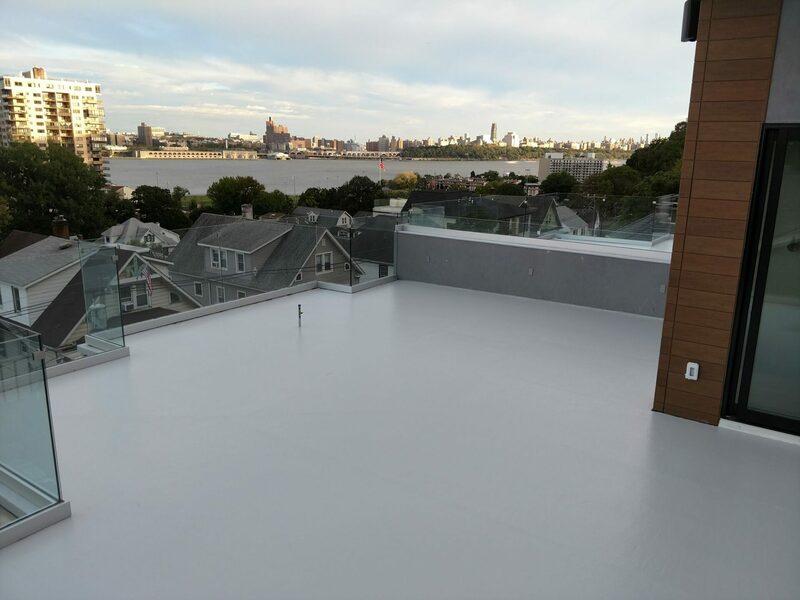 Jc fiberglass also maintains and renovates existing fiberglass decks. 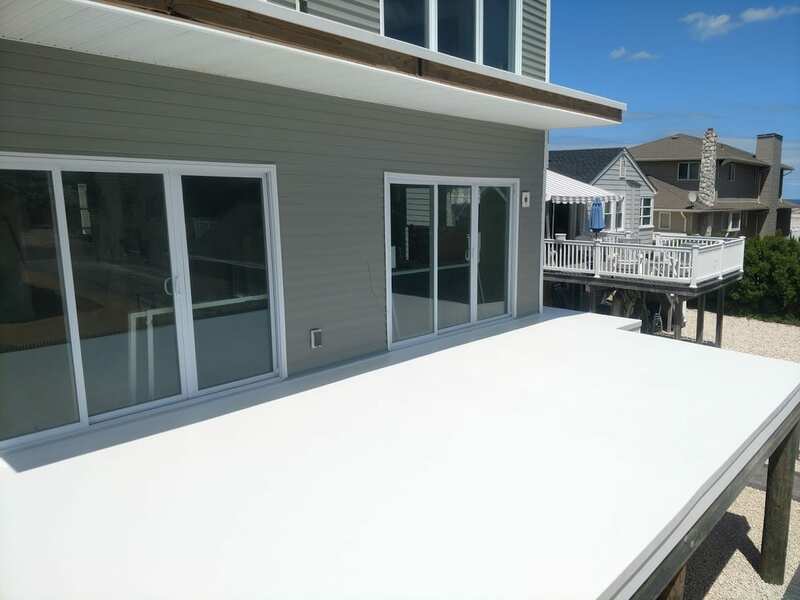 For all re colors we sand the entire deck surface and make any necessary repairs, once the repairs are sanded smooth we wipe the deck down with acetone to clean and prime the surface for the new gel coat layer to be applied. We also measure out EVERY batch of gel coat with a scale and catalyze it according to the conditions of the day. 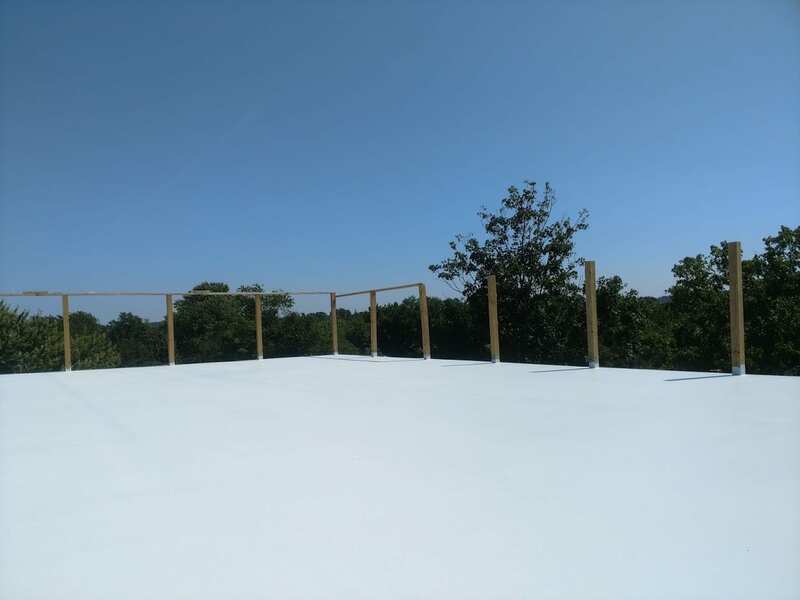 This is one of the most over looked parts of the installation of new gelcoat, this is also what leads to some decks chipping up much earlier than their typical life span. 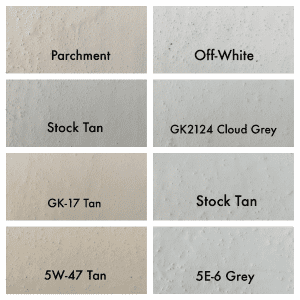 Which leads to degradation of the fiberglass coating underneath, which can eventually lead to leaking and failure of the surface. For best results, the entry doors should be removed and siding at least 10 inches up around the perimeter on all the walls. We recommend using ¾ inch sanded A/C plywood. We use pre-sealed plywood to ensure best adhesion, then glue the plywood and screw it down every 8 in. on all studs and seams to ensure rigidity of the surface, which will prevent any cracks or nail pops from developing over time in the finished surface. 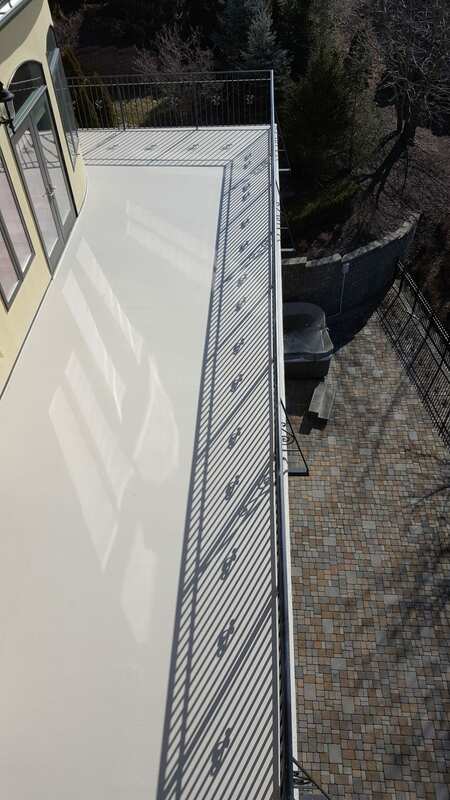 We then install chamfer strips along all walls, create a door pan in all door sills, and nail angle cut Azek drip edges along the edges of the deck. If necessary we pack out the Azek with a pine backer to create space for stone finishes, or molding. We then fill all screw holes and seams with polyester puddy, and sand the entire surface smooth then round all corners and edges with a router. We then apply 2 oz. Owens Corning chopped strand mat to the entire surface, all walls and plywood seams are double layered for strength. Once cured the fiberglass is sanded smooth and the color gel coat with pumice added for grit is applied to the deck. Using this installation process we offer a written 10 year leak/crack-free warranty. JC Fiberglass also offers ½ A/C plywood installations as well as just fiberglass installations.